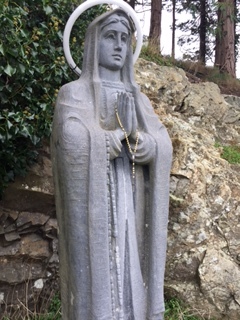 The Rosary helps us keep in mind certain principal events or mysteries in the history of our salvation, and to thank and praise God for them. There are twenty mysteries reflected upon in the Rosary, and these are divided into the five Joyful mysteries, the five Luminous mysteries, the five Sorrowful mysteries, and the five Glorious mysteries. As suggested by the Pope John Paul, the Joyful mysteries are said on Monday and Saturday, the Luminous on Thursday, the Sorrowful on Tuesday and Friday, and the Glorious on Wednesday and Sunday. The Annunciation: Mary learns that she has been chosen to be the mother of Jesus. The Visitation: Mary visits Elizabeth, who tells her that she will always be remembered. The Nativity: Jesus is born in a stable in Bethlehem. The Presentation:Mary and Joseph take the infant Jesus to the Temple to present him to God. The Finding of Jesus in the Temple: Jesus is found in the Temple discussing his faith with the teachers. The Baptism of Jesus in the Jordan: God proclaims that Jesus is his beloved Son. The Wedding Feast at Cana: At Mary’s request, Jesus performs his first miracle. The Proclamation of the Kingdom: Jesus calls all to conversion. The Transfiguration: Jesus is revealed in glory to Peter, James, and John. The Institution of the Eucharist: Jesus offers his Body and Blood at the Last Supper. The Agony in the Garden: Jesus prays in the Garden of Gethsemane on the night before he dies. The Scourging at the Pillar: Jesus is lashed with whips. The Crowning With Thorns: Jesus is mocked and crowned with thorns. The Carrying of the Cross: Jesus carries the cross that will be used to crucify him. The Crucifixion: Jesus is nailed to the cross and dies. The Resurrection: God the Father raises Jesus from the dead. The Ascension: Jesus returns to his Father in heaven. The Coming of the Holy Spirit: The Holy Spirit comes to bring new life. The Assumption of Mary: At the end of her life on earth, Mary is taken body and soul into heaven. The Coronation of Mary: Mary is crowned as Queen of Heaven and Earth. 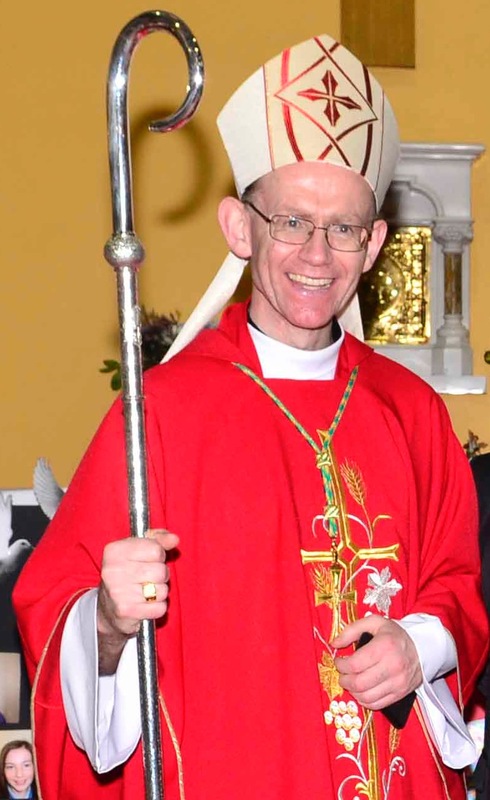 Bishop Fintan Monahan has written a pastoral letter to the people of the Diocese, entitled ‘Diocese of Killaloe – A welcoming People of God’. In his letter Bishop Fintan reflects on the many positive aspects of the faith he has encountered since he came to the diocese and speaks about the future of our faith communities.